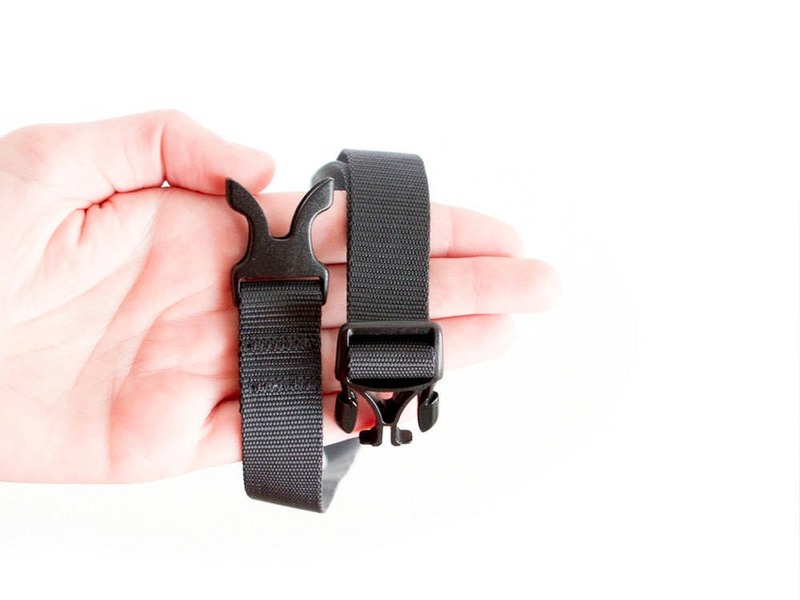 Rock climbing chalk bag for kids. 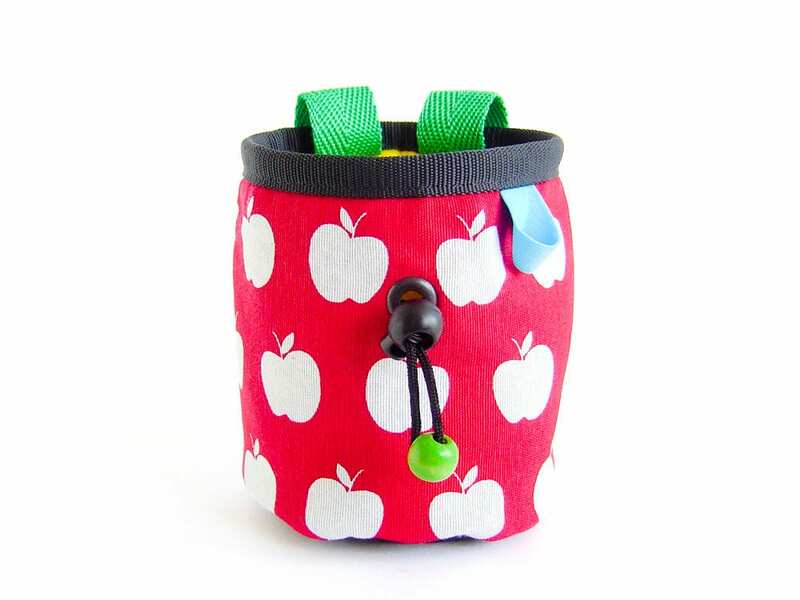 We handmade this child chalkbag (chalkbag kinder) as mini chalk bag colorful purse with apples. The main color is red with white apples. 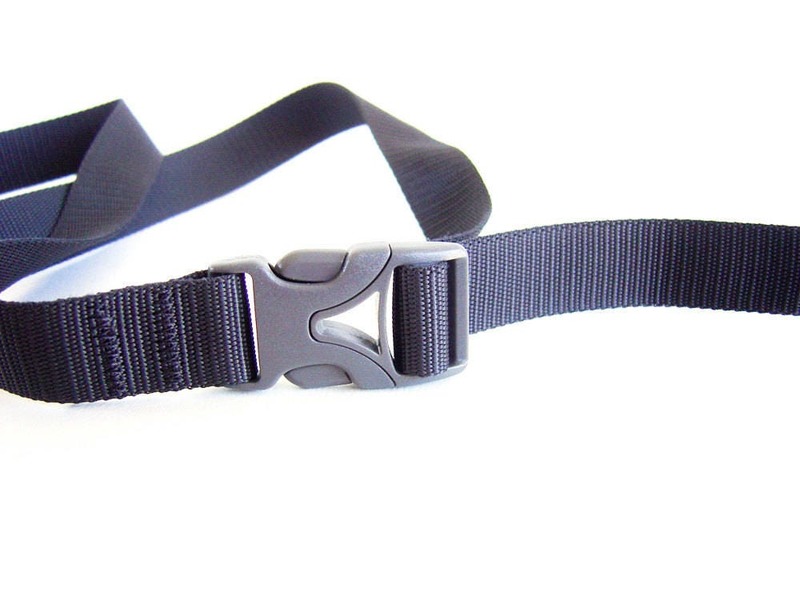 The bottom is dark grey and durable. 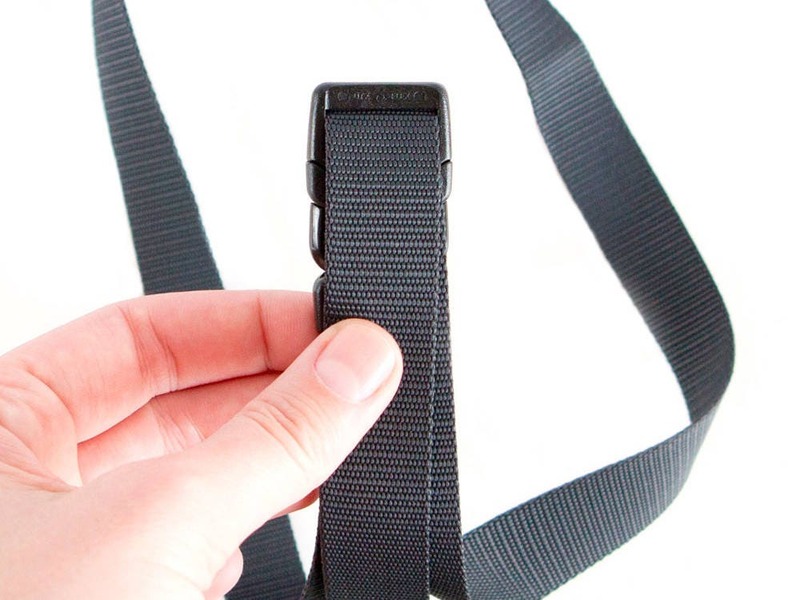 Under the outside layer, there is a membrane layer, that will keep the chalk inside. The inner is sewn of yellow fleece. 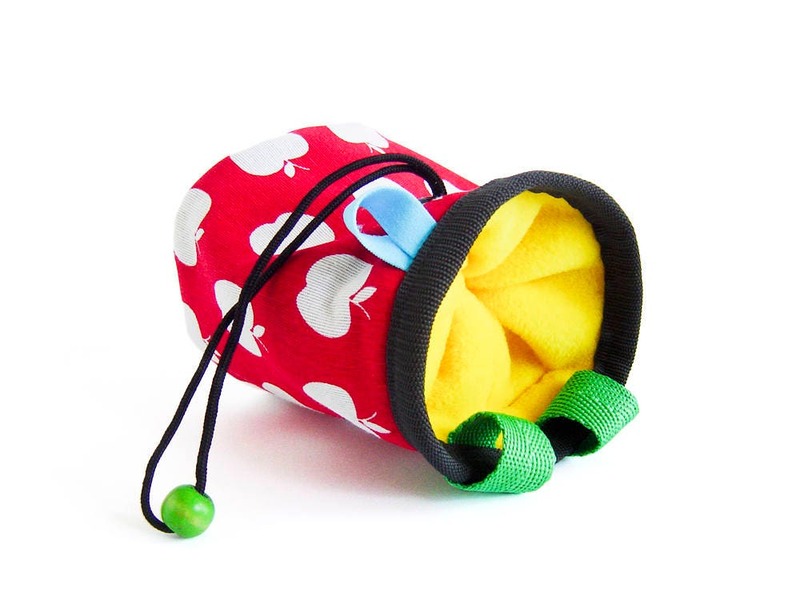 This rock climbing chalk bag for kids is with 2 attaching loops in green. 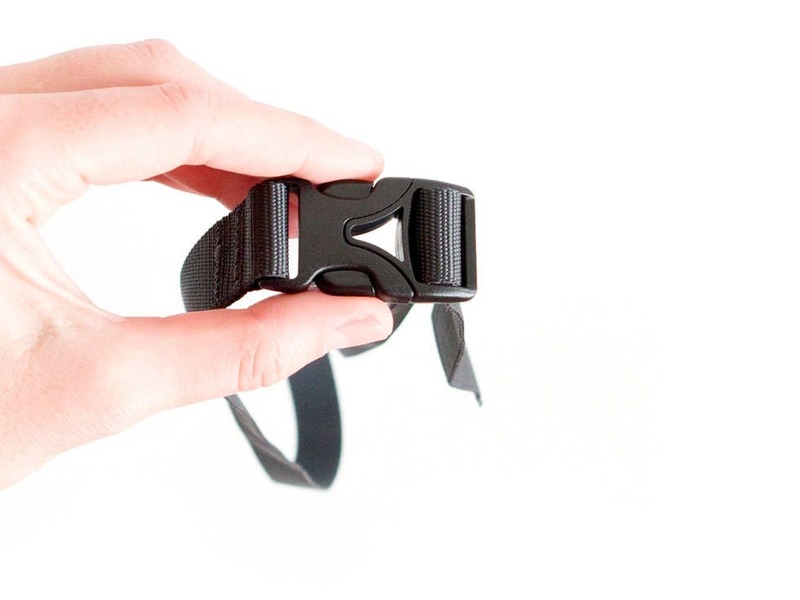 Supplied with an elastic brush holder. 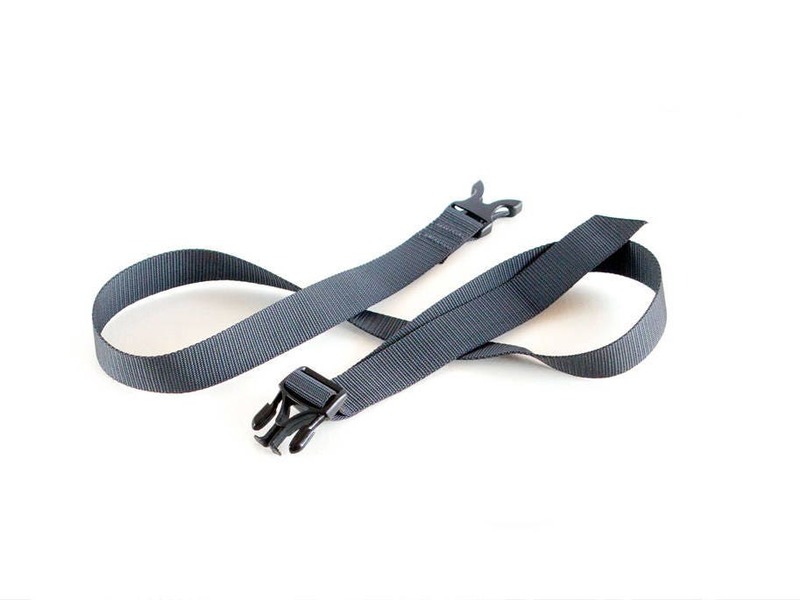 The upper rib is protected with band that keeps the chalkbag wide opened when you climb, and protects it from abrasion. 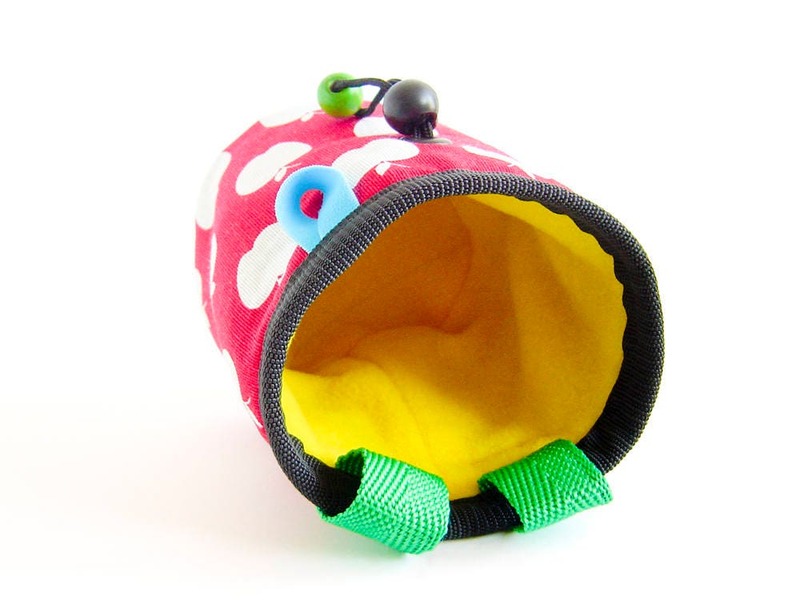 Dimensions: 12 cm (4 3/4") height, 10.5 cm (4 1/8") diameter, weights - 52 grams (1.83 oz). 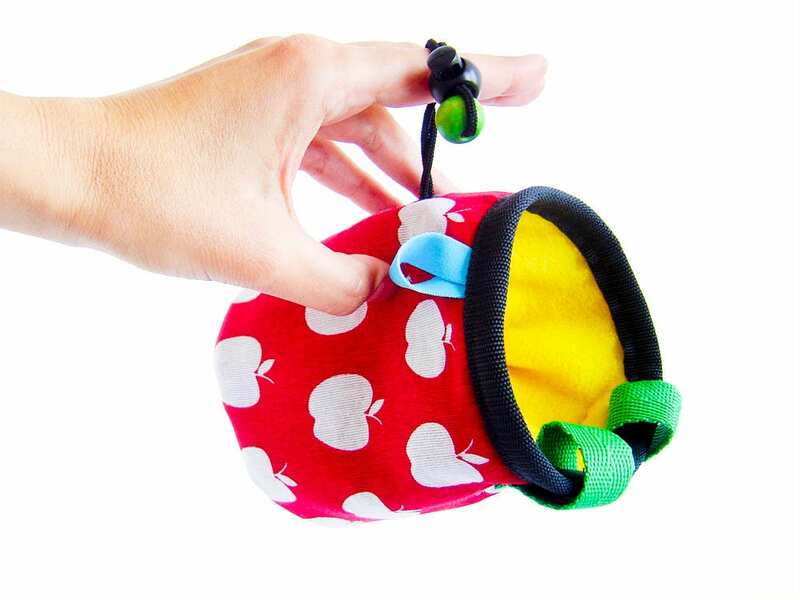 This kids chalk bag is designed to be used of kids, children, a child, or ladies. 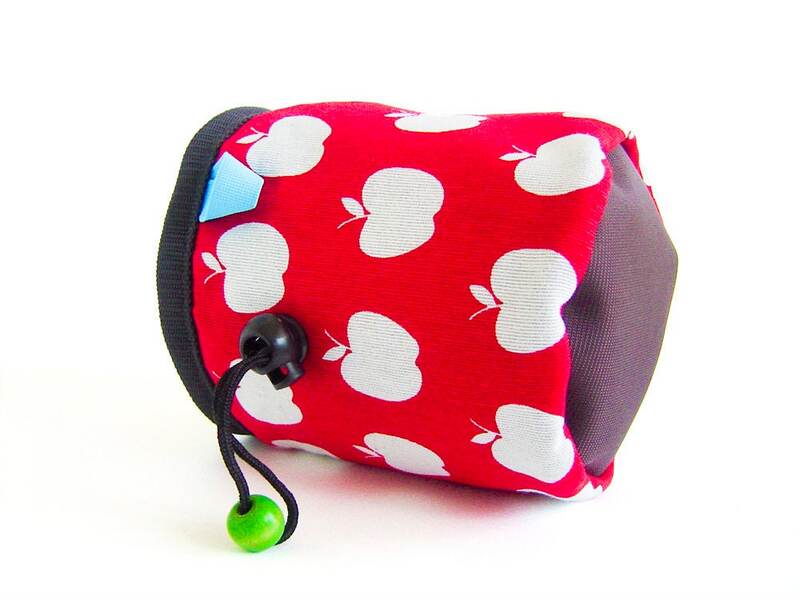 If you order, you will get this cool children's chalk bag for kids from the pictures.